Machu Picchu stands 2,430 m above sea-level, in the middle of a tropical mountain forest, in an extraordinarily beautiful setting in Peru. 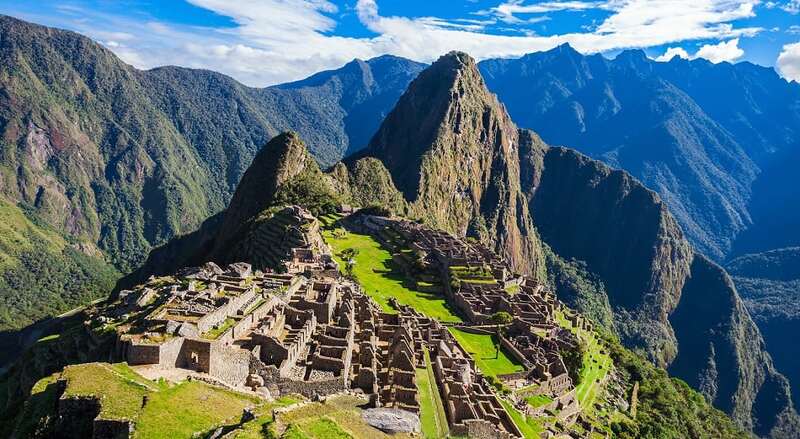 It was one of the most amazing urban centers of the Inca Empire with its giant walls, terraces and ramps seem as if they have been cut naturally in the rock slopes. The natural setting, in the Andes, is part of the upper Amazon basin with a variety of plants and animals.